Filberts are flat with oval tip used to create a broad mark with a soft edge. 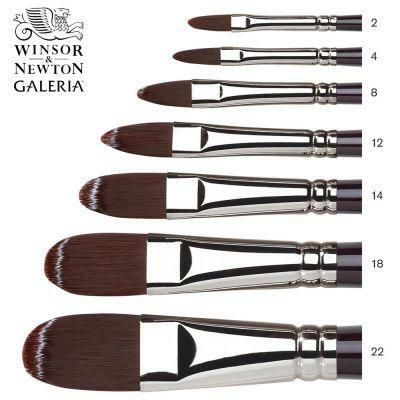 This long handled Filbert brush is designed for use with acrylic colour as a thick medium. 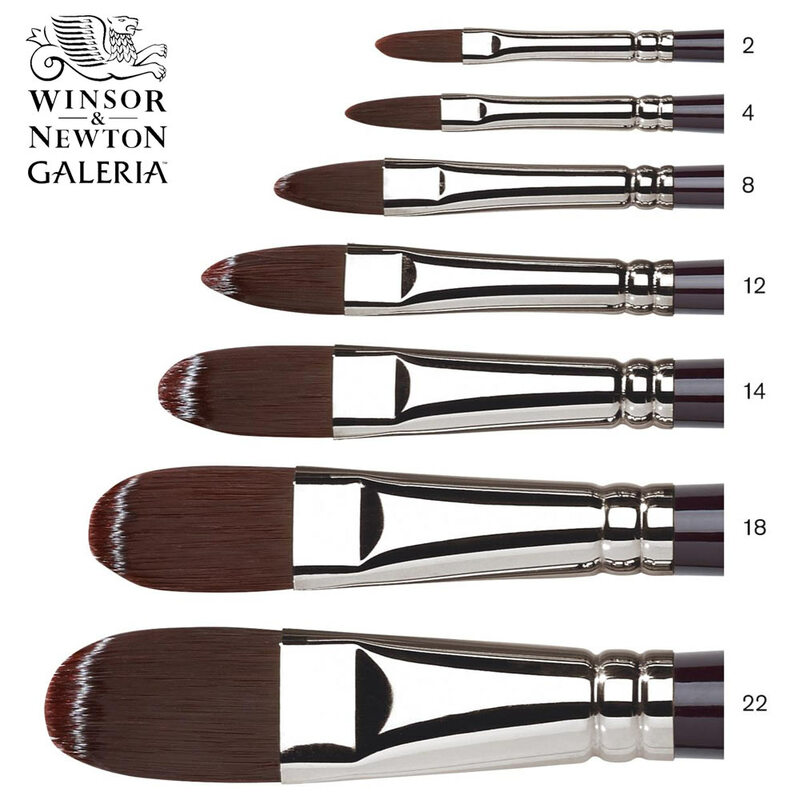 The filbert shaped head provides the versatility of both a round and flat brush.